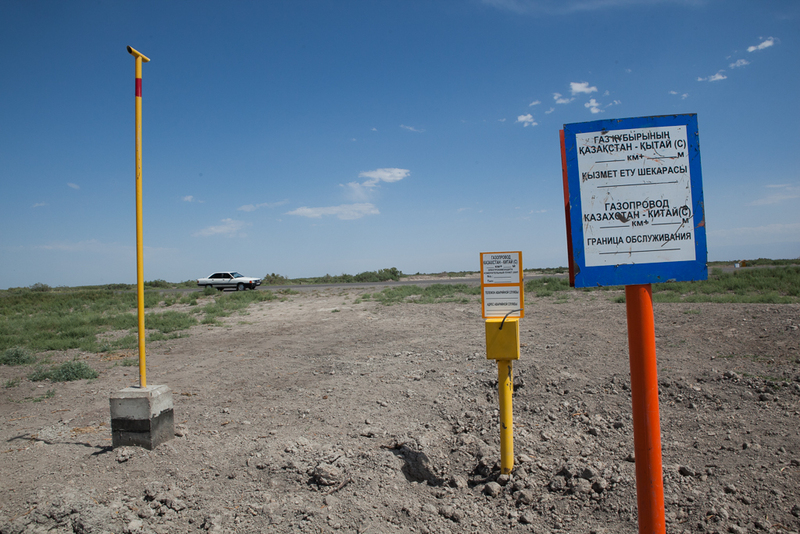 Turkmenistan lives by natural gas and dies by natural gas. The country’s failure to diversify away from what is by very far its top export commodity has left Ashgabat prone to dwindling revenue. The pain began in 2014, in the wake of the slide in global oil prices, which broadly speaking serve as a benchmark for gas rates. This situation was later compounded by the loss of two important customers. In 2016, Turkmenistan became embroiled in a spat with Russia’s gas giant Gazprom, after which Moscow simply stopped buying Turkmen gas. And then in early 2017, Iran too stopped importing gas from its neighbor to the north. That left China as the only major customer for the Turkmen fuel. So just how much damage has this all caused? Exports out of Turkmenistan in 2014 were worth $11.4 billion. That had fallen to $7.6 billion by 2017. Even that figure is not wholly enlightening because an unknown proportion of nominal export revenues are then relayed back to China, which has lent billions to underwrite the development of the very same fields that are being tapped to supply it with gas. The decline in export revenue then precipitated a collapse in the foreign exchange available inside Turkmenistan. Authorities have implemented often crude and draconian measures to stem the outflow of foreign currency. One consequence has been the sharp divide between the official and the black market manat-dollar exchange rate. In this chain of developments, food shortages followed. With tighter controls on imports, those shortages increased significantly, feeding into high inflation and the fall in living standards. The good news for Ashgabat is that the export slump appears to have tailed off. Data from China’s customs agency show that imports from Turkmenistan increased in 2018, and by quite a large margin (next graph). 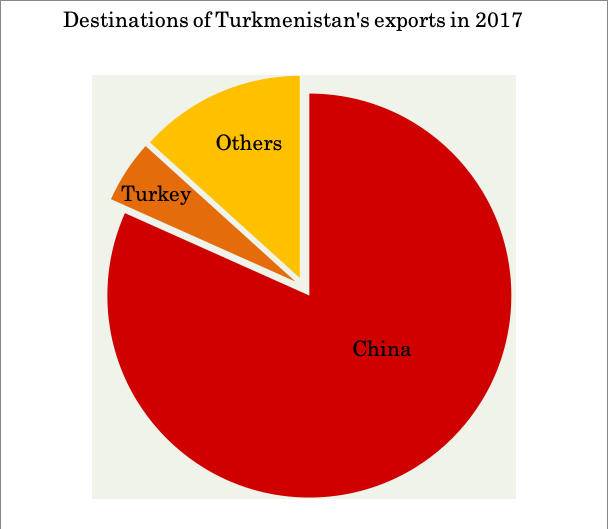 Turkmen exports to China last year amounted to $8.1 billion, almost 25 percent higher than the $6.6 billion seen in 2017. With Chinese demand for gas remaining high, that recovery in export revenue will likely continue into 2019. But there is an important factor constraining the volume of gas that Turkmenistan can sell to China. The Central Asia-China gas pipeline is set to hit capacity this year, just as China increases gas imports from Kazakhstan and Uzbekistan. One potential positive outcome from this change of dynamics is that the Turkmen government may consider loosening controls on imports, notwithstanding the stated policy of forcing through its import-substitution agenda. This would ease somewhat the existing shortages and arrest some of the rapid rise in prices and deterioration in living standards.